Percocet and Weed: Can Opioids and Marijuana be Mixed Together? Percocet and Weed: What Happens When Marijuana and Opioids are Mixed? Mixing Percocet and marijuana may not be as dangerous as mixing painkillers with other substances. Experts concluded that although other central nervous system depressants like alcohol, sedatives or other opioid drugs can increase the risk of Percocet overdose, weed may not. In the research made by the Australian Government Department of Health, experts studied the possibility of using medical marijuana to treat chronic non-cancer pain in patients. This study is aimed at replacing opioid drugs to decrease the rate of opioid deaths. So can Percocet and weed be used to relieve pain and minimize the risks of opioid dependence or can it double the risks? How People Mix Marijuana with Percocet? How does Marijuana Interact with Percocet Ingredients? What are the Side Effects of Mixing Them Both? Do they Work Better Separately? Patients combine weed and Percocet by first taking Percocet orally and after that, smoke marijuana. It is very dangerous due to reports online about the effects experienced by people who tried it. A user claimed that after taking Percocet during his visit to a dentist, he smoked a small amount of marijuana. After that, he felt conscious while he thought he was blind. The effects were so severe that everything just went blank. Patients who practice this or are about to should avoid it. Most people who use both drugs recreationally end up crushing, mixing, and smoking Percocet and weed together. As we can recall from the first method, both drugs can affect the central nervous system, so combining Percocet and marijuana could be dangerous. 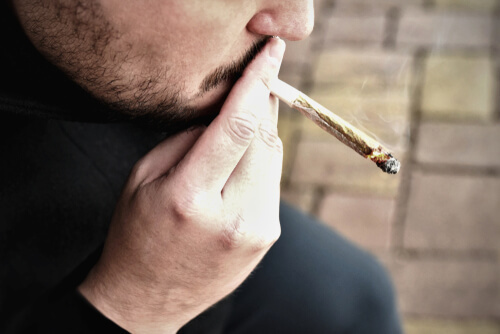 While smoking Percocet is dangerous alongside, smoking the combo is far more dangerous as both substances could intensify the effects of each other. The combination of these two drugs can also affect breathing or heart rate as well as cause impaired coordination and reasoning. Research has proven, that marijuana and Percocet could be combined in little doses to handle chronic pains and at the same time reduce the use of many opioid substances which could be dangerous to health. So, instead of prescribing a Percocet 10/325, doctors can result in prescribing a Percocet 5/325 plus a little bit of medical cannabis to combat pain and at the same time decrease the risk of opioid dependency. When combining weed and Percocet, each active ingredient in the drug reacts differently with the cannabis. Acetaminophen does not interact with cannabis. Records of users online say that combining the two (weed and drugs that have acetaminophen as a sole active ingredient) have no serious effects to them. Also, experts have found out that in the combination of these two substances, it proved little or no reaction. On the other hand, oxycodone and marijuana highly interact with each other just as Gabapentin and Percocet. Taking Percocet or oxycodone as an active ingredient in any drug while smoking marijuana will bring the user an intense high. Users may think that oxycodone is intensifying the marijuana effect, but the stronger intoxication is as a result of the opiate. Oxycodone over-rides the effect of weed, but when weed and oxycodone are combined, they tend to get the high they crave for. This could lead to extreme addiction to opiates which marijuana smokers or regular opiate users aren’t prepared for and would take days or weeks to detoxify the drugs completely. Patients worried about the effects of combining Percocet and weed should not be alarmed. There are some good and bad news about that. The good news is that marijuana is not known to produce any life-threatening interactions or severe effects with most substances. These effects are mild and temporary for most users, while paranoia and impaired thinking vary from patient to patient. While mixing Percocet and weed, you might get higher than you bargained. Driving or operating heavy machinery is prohibited in such condition. Patients combining the two might become more impaired than patients using each substance alone. 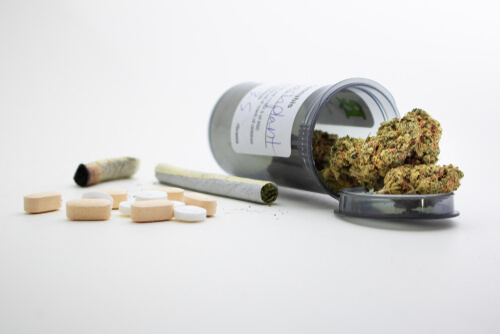 A person mixing marijuana and Percocet in their impaired judgment may overlook the risks of opioids and alcohol combination or with other drug substances. Such behavior can result in overtaking of these substances. This can lead to overdose or severe Percocet side effects. However, with all the dangers in the combination of Percocet and weed, experts have no record where marijuana interactions could lead to death. Do They Work Better Alone? It is no doubt that Percocet is effective in pain treatment. 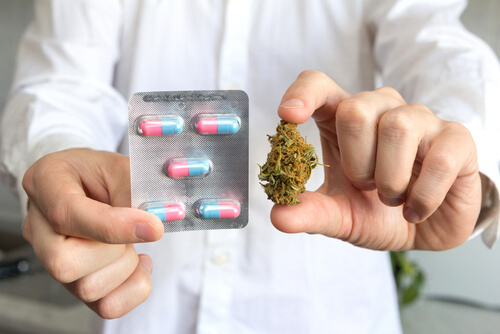 Medical marijuana, nowadays, is proven to treat chronic pain although, but it is not as effective as painkillers and cannabis still do not have approval from the FDA. However, these two combinations can be used to combat chronic pain, and at the same time reduce opioid addiction. Experts hope that it could replace the opiate medications in some cases. Patients should always consult their doctors before they interact any substance with Percocet medication. Notice that other substances like alcohol, anesthetics, aspirins, other pain relievers, and most prescription drugs should be avoided when a patient is on the painkiller. Percocet addiction is a severe case, patients who find themselves fighting the addiction should consider going to a professional rehab center. With the availability of professional staffs, handling the urge to abuse the drug could be managed, put to control and slowly tapered off. If you or someone you love have any questions on the combination of Percocet and weed or need help concerning opioid addiction, please call our helpline (888)-459-5511 to assist you. Our support team is available 24/7 to assist you and provide any information you want to know. Please remember, all phone calls are always important, confidential, private and very secure. Addiction Resource » Addictive Substances: The Anatomy of Drug Addiction » Percocet Addiction and Abuse Signs: How Long Does it Take to Get Addicted? » Percocet and Weed: What Happens When Marijuana and Opioids are Mixed? Thanks. I have severe neuropathy in my feet and I smoked it at the of the night. However Kaiser Permanente has told me that they will not prescribe me my Percocet if I continue to use.. since I have such a disability not brought on be myself “ antibiotics “ perscribe by them I’m at a loss. It helps to forget my chronic miss fortunes.